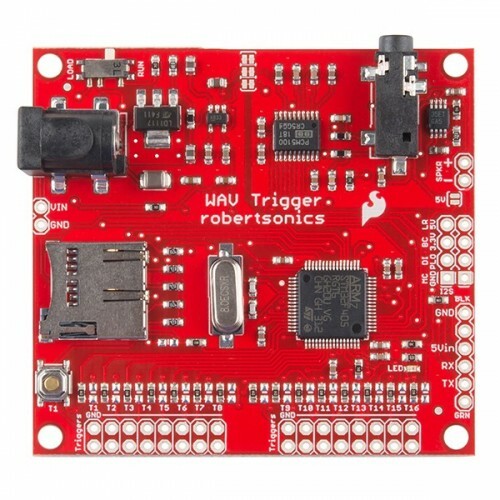 The WAV Trigger is a high-fidelity polyphonic audio player that allows you to do more than just add music and sound effects to your project. 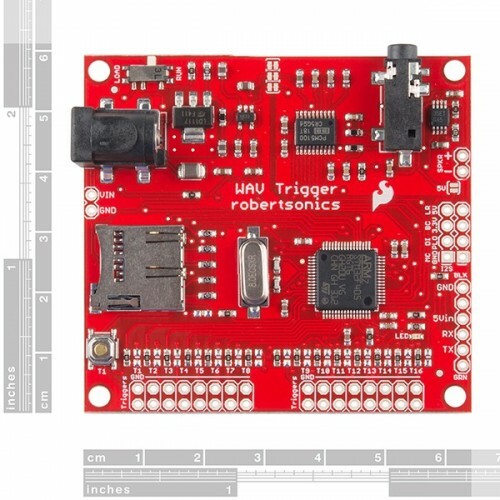 The WAV Trigger plays and blends up to 14 uncompressed 16-bit, stereo, 44.1kHz wav files - the same quality as audio CD’s. 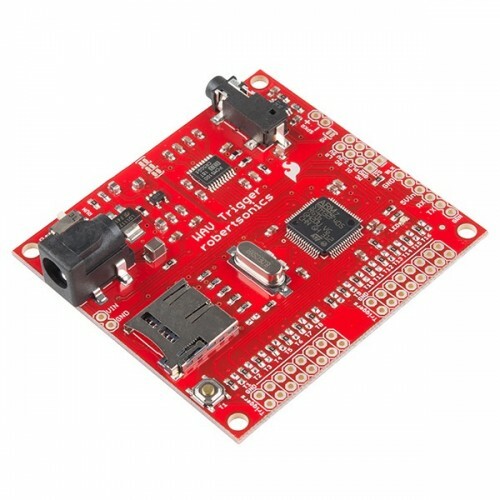 The board has a line-level stereo audio output jack for use with headphones or external amplifiers and an on-board mono audio amplifier with a 2-pin connector for driving a speaker directly. Tracks can be controlled using 16 trigger inputs or a serial control port that supports a rich serial command protocol, as well as MIDI. 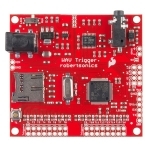 Trigger inputs can be connected directly to switches and buttons, or to digital outputs from sensors or another microcontroller. Alternate functions allow triggers to play sequential or random tracks, pause and resume groups of tracks and even control volume. The serial control protocol allows complex functions like controlling the volume of individual tracks, starting multiple tracks in sample-sync and smooth cross-fading between tracks. An Arduino library makes it easy to do real-time control and audio mixing. The serial port even supports MIDI protocol, meaning that you can use the WAV Trigger to build a polyphohonic sampling synthesizer to play your own sounds. MIDI Channels and Note numbers are mapped to track numbers, and MIDI Controllers adjust volume as well as attack and release times. The WAV Trigger audio engine implements voice stealing (oldest playing voices are used for new MIDI Notes when all 14 voices are being used), note attack (fade-in), note release (fade-out) and latency averages less than 10 ms. Check the link in the documents below to keep up with the latest Firmware updates! 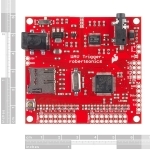 Note: This product is a collaboration with Robertsonics. A portion of each sales goes back to them for product support and continued development. Low Power option: ~5mA idle.